A pair of awesome upgraded Black La Scala Industrial speakers for $1200 These speakers were built in 1996. I also have the aluminum badges if you want them. I have resealed the woofers within the last year and should be good for another 20 years. I am selling these speakers as I recently moved into a smaller house and they are too powerful for me and my smaller living room. They are currently in my garage and ready to go to a good home. According to the first post, they are in his garage. Alex, just today I visited a friend/customer who I sold a pair of La Scala to last year. His Scala's were so close to the listening position, literally less than 7 feet. It felt like you could almost reach out and touch them. I thought they would sound bad. They DID NOT !!! He is using an old Marantz and the Scala's sounded fabulous, even that close. If you can convince the remainder of your household some tolerance, try it before you make the FINAL decision. You worked so hard to find and get these babies up and going. There has to be another solution? Tough day for WVU, eh Dave? OK, so we now have to "decode" posts, look for tiny little "tags", etc? Why not just "located in Dallas, located in Timbuktu", etc? It's not that hard. BTW, good luck with your sale. A heh, funny. Couldn't help but notice Michigan didn't cover the spread. Could care less if they covered the spread....They WON. So, I am really torn / heart broken. My music room is about 15 feet length by 11 feet wide. 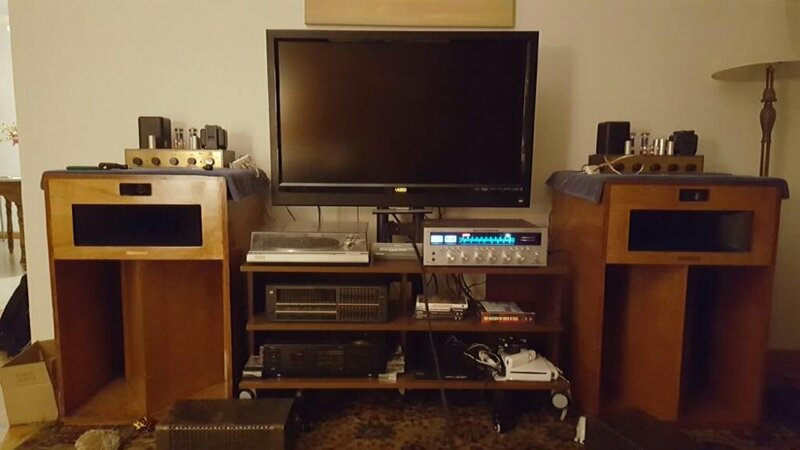 My current setup is Forte II, Heresy I and, SW-12ii, with a Marantz 2252 and a simple Pioneer turntable. I've attached a pic below. 1. I tried my best to get them how I want them, but trying to get them to be stained cherry, like the beauties that Matthews made.But I just don't think it will happen. 2. I am running out of room. I currently have the following sets: HWO, Forte ii (WO), KG4 (WO), SW-12ii (black), and LSi (black). I am fast running out of room. 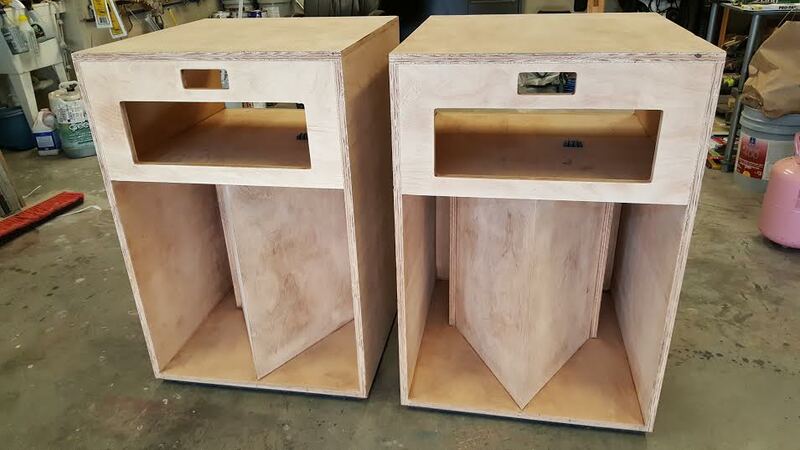 If the LSi somehow can be transformed into a Cherry LS, then I am up for selling all my other speakers. But I really, really love my Forte ii. They sound awesome in my room. 3.I am really hung up on step 1. So if I can't enjoy them as they are, maybe someone else can. Hopefully this explains my sale and motives further. Thoughts and comments are welcomed. ps. Yes the TV is off center, but I'm removing it and installing a projector and screen at a later date (one day). If the LSi somehow can be transformed into a Cherry LS, then I am up for selling all my other speakers. If I did that, do you guys think I should sell my other speakers? For that room, I see Chorus II. Keep the sub, you will like having it with the Scala's. This is the pair that had the thick and difficult tinted varnish. After many sheets of sand paper, bloody knuckles and desperation, completely stripped to raw wood. And ultimately, they became "Plum Crazy"
Unlike most people contemplating La Scalas, you already have a pair. Do some A/B testing with them vs your other speakers and see if that is THE (must have) sound for you. If it is, then you will never really be happy with whichever set up you end up with even though you have some great choices. 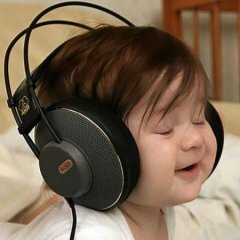 Listen to them with your eyes closed, fall in love or don't, we have all tried this test a time or two. If they are the ones for you, get to sanding. I know I would stick with LS (or Belles) in that room. Another thought is that not everyone has the energy Matthews has (few do), you could sell all of them and get a nicer pair or one that takes a little less work. It will be fun either way. GLWS or sanding! Alex, best of luck with your decision. 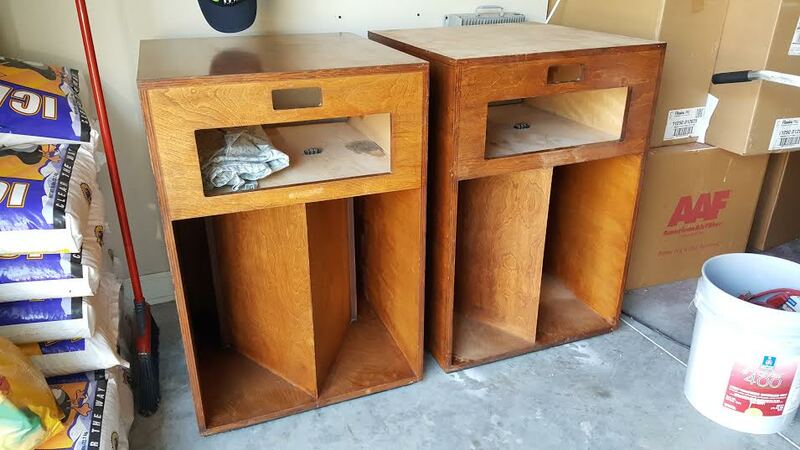 If the cabs are in good shape I'd sand and refinish them just like th ones Matthews did. They do look and sound great in a small room. Here are the ones Matthews refinished in a room a little smaller than yours. This is my friends setup that I was telling you about. Now this is a small room. It sounded fantastic! The photo was taken from his couch, listening position. 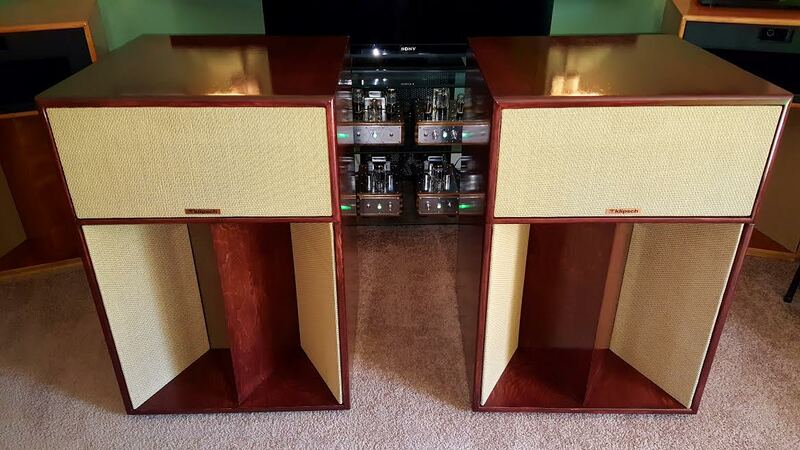 nice speakers...are they actually tagged LaScala Industrial's, they look like and have the build of TLSI's, which is the theater version of the LaScala's. Yes sir, they are LaScala Industrials.